We run a fossil fuel free portfolio for our clients which has a rigorous ethical screen and invests in small and medium sized Australian companies. The overall performance of the Ethical Investment Mid-Cap Portfolio. 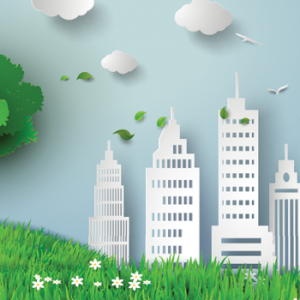 We select investments which have a positive effect on the environment or society. No specific person’s circumstances, financial situation or objectives have been taken into consideration. You should not act on the information provided without seeking personal advice from an appropriately qualified financial planner. Past performance is no indication of future performance. While the data source has been verified as reliable, the actual content has not been checked for accuracy. Consequently, Ethical Investment Advisers does not warrant the accuracy of the information nor accept liability for any errors in the data. The returns shown are estimates only. The returns shown are for the Ethical Investment Mid-Cap Portfolio on the Hub24 platform and AFTER investment management fees, but BEFORE administration fees and taxes, and may not match your actual return as this can be affected by the timing of additions and withdrawals, as well as fees and customisations. Portfolio returns longer than one year are annualised returns. Returns have been calculated on a daily basis and are annual returns ending 31 March 2019. The performance inception date is 25 May 2015. 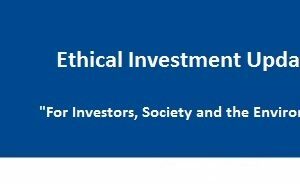 What is the Ethical Investment Mid-Cap Portfolio? 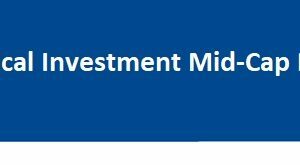 The Ethical Investment Mid-Cap Portfolio is a portfolio of around 40 small and medium sized companies listed on the Australian share market. A key focus of the portfolio is to find companies which are involved in positive environmental activities or which provide benefits to society, such as healthcare, renewable energy, energy efficiency and technology, food, water, sustainable agriculture, education, community development and social welfare.The portfolio excludes investments which are involved in companies which are involved in harmful environmental activities and socially hazardous activities such as tobacco and weapons manufacture, third world exploitation, uranium mining or gambling. As a point of difference, the model portfolio also excludes all fossil fuels including companies involved in the production, financing, refinement and transportation of fossil fuels, including coal, petroleum and natural gas. 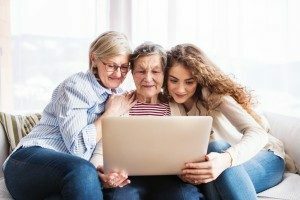 The Ethical Investment Advisers Mid-cap Portfolio is currently available in superannuation and investment on the Praemium Customised Portfolio Service, Emerald Wrap and Hub24 platforms. If you are interested in investing in the portfolio, please speak to your financial adviser, or Contact Us today so we can give you more information and help you decide whether or not the portfolio is appropriate for you. Please click here to see the latest performance update. Meridian Energy Limited is the only electrical generator in New Zealand which generates 100% renewable energy. It generates the largest proportion of New Zealand’s electricity and provides electricity to customers including homes, businesses and farms in New Zealand, and provides metering, dam consultancy and insurance services. Meridian Energy currently operates seven hydro stations and four wind farms in New Zealand and one wind farm in Australia. Genex Power is an Australian public company focused on the production and storage of renewable energy. Genex is currently developing three innovative clean energy projects located in Northern Queensland. 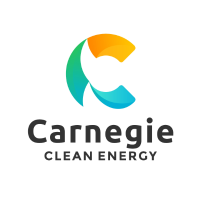 Carnegie Clean Energy is an Australian wave energy clean technology development company. CCE is the owner and developer of the clean energy technology, called CETO Wave Energy Technology intellectual property. The CETO energy converter was designed to harvest the renewable energy resource in the ocean’s waves, produce high pressure water pumped ashore, and convert it into zero-emission electricity and/or freshwater desalinated from the ocean. Infigen Energy is a fully integrated renewable energy business with interests in six operating wind farms across Australia with a total installed capacity of 556 MW. Infigen also owns the Capital East energy storage and solar photovoltaic demonstration facility. Freedom Foods Group Limited is a diversified food company operating in the Health and Wellness sector. The company manufactures, distributes, and markets allergen free cereals, nutritional snacks, biscuits, and long life beverages. It offers gluten free, wheat free, nut free, low sugar or salt, or highly fortified products, including breakfast cereals, biscuits, snack bars, soy, almond and rice beverages, and other complimentary products. Ingenia Communities Group owns, manages and develops a diversified portfolio of seniors living communities across Australia. Its real estate assets are valued at $224 million and include rental villages, deferred management fee villages, Manufactured Home Estates and three New Zealand student accommodation buildings. Redflow is an Australian company focussing on the development of zinc-bromide flow batteries. Key products are Zinc Bromine battery flowing electrolyte module and Large and scalable energy batteries, which are sold to multinational companies supplying equipment to electricity utilities, renewable energy companies and electricity users.